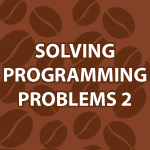 In my previous tutorial Solving Programming Problems, I walked you threw the process of solving a generic programming problem. We made a method that printed out a tree structure in the console. In this tutorial, I’ll walk through the process of finding bugs in the code and talk about how we can fix those bugs. I think this topic may be the hardest to teach. I hope the video and the code that follows can help you better grasp how to solve most any programming problem. these kind of questions asked in interviews many of times. Do well man! Love your stuff. AMAZING! My teacher can’t do half what you did here. Thank you 🙂 I’m very happy that I was able to help. Is this the best way to solve any computational problems.